Pawsitive Grooming was opened in December, 2009. Pet Valu at the four corners contracted out Pawsitive Grooming in 2010 for three consecutive years, till we decided to move in the Flower Mill, now at 450 Notre Dame. I Love working with my fury little friends, they bring me so much joy and happiness in my life. I would not change my career for any other. I want to thank all my Past, New and Future Customers for trusting me with their loving pets. I also want to thank the Veterinarians that has recommended me to their clients and my Past Clients who has recommended me to their family and friends. 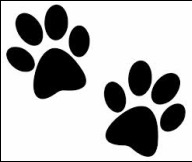 Here at Pawsitive Grooming your pet will be loved and cared for. It is where satisfaction by both Pet and Owner is attained.